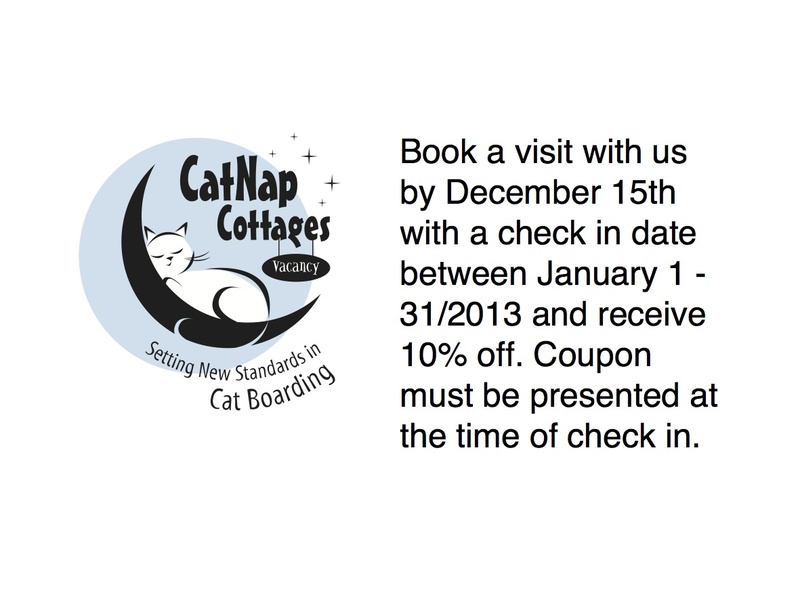 CatNap Cottages, a cats-only facility located in Arkell on the southern fringe of Guelph, sets a new standard in cat care and boarding. Cats will be as pampered and well-treated as their vacationing parents. Think of it as a calming cottage getaway for your cat, giving the you complete peace of mind that kitty is being well-treated in a relaxing and playful atmosphere. We service Guelph, Kitchener, Waterloo, Cambridge, Burlington, Hamilton, Milton, Toronto, Kingston, Barrie, Windsor and everywhere in between! Have you seen or video? Check it out!